The Los Angeles County Museum of Art got the approval it needed on April 9 to move forward with plans to build a new $650-million building that has drawn praise and criticism from Angelenos. The Los Angeles County Board of Supervisors voted unanimously to certify the final environmental impact report for the proposed new building, approve the project, authorize the demolition of the four existing buildings, and provide the rest of the county’s $125 million contribution. The county will also issue bonds for another $300 million that will serve as a loan, which the museum will repay with private donations to be collected as the project moves forward. The project also received support from Hollywood actors Brad Pitt and Diane Keaton, both of whom praised the design and Zumthor. Other public speakers applauded the project as a strong addition to Museum Row on the Miracle Mile and lauded the parkland that will be created. “Three and a half acres is a substantial piece of property in our community to turn into a park, and I appreciate the efforts of Mr. Govan to make that happen,” said Steve Kramer, an attorney and the president of the Greater Miracle Mile Chamber of Commerce. Supervisor Sheila Kuehl, 3rd District, said she also supports the plans and credited the museum’s leaders with showcasing the diverse populace of Los Angeles as an asset. “I’ve felt all along that it’s in the best interest to the county to support this institution, which has grown in size, in collection, in cache and in international repute. This is one of the feathers in our cap in L.A. County,” she said. “There’s no sense in rushing toward mediocrity, because we only get one chance to get this right,” he said. Other critics pointed out that the new building, which is expected to be 347,500 square feet, will replace 393,000 square feet of space across the four buildings that will be torn down to make way for the new structure. LACMA’s plan is to house some of its collection in other sites, such as the Charles White Elementary School Gallery in MacArthur Park, something the museum already does with some exhibitions. “We also were very clear that we wanted the collection, the experience, the staff and the whole magic of the arts to go out into various parts of the county,” Kuehl said. In response to media reports that say the museum isn’t big enough, Govan said there will be room to expand on the Wilshire Boulevard campus, though he doesn’t see any such additions happening during his time as head of the museum. 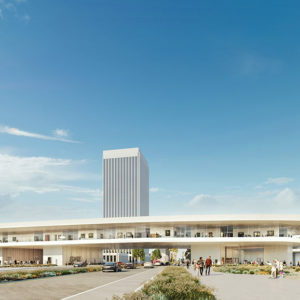 The project will also have to be approved by the city, which would have to vacate its rights to the airspace above Wilshire Boulevard where the museum plans to cross. 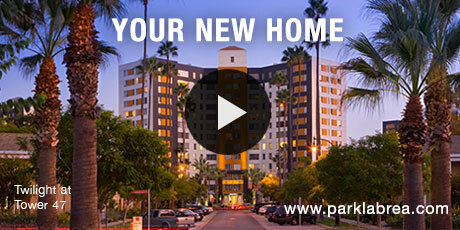 If the city approves the project, construction can begin as early as next year. LACMA hopes the building will be finished by 2023. This story was updated on April 11 at 2:44 p.m. While the Broad Contemporary Art Museum is a separate building, Charles White Elementary School Gallery in MacArthur Park is a true separate site that houses some of LACMA’s collection.